Since 1977, S.W. 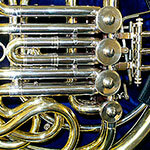 Lewis horns have been built with a respectful connection to the past and an innovative road to the future. 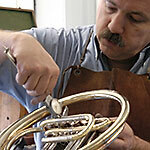 Steve Lewis creates an aesthetically beautiful horn with attention to detail and high standards of excellence. 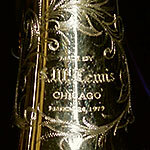 With unprecedented consistency, the Lewis Horn is famous for its even timbre, reliable intonation, fluid legato, and clarity of projection.